So long FJ, hello Tracers! 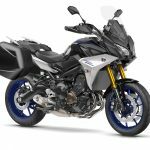 Yamaha continues to consolidate its naming structure by replacing the FJ name with Tracer, which has been used in Europe. Consequently, the bike we’ve known as the FJ-09 will come to the U.S. as a 2019 model (yes, a 2019 model) called the Tracer 900. 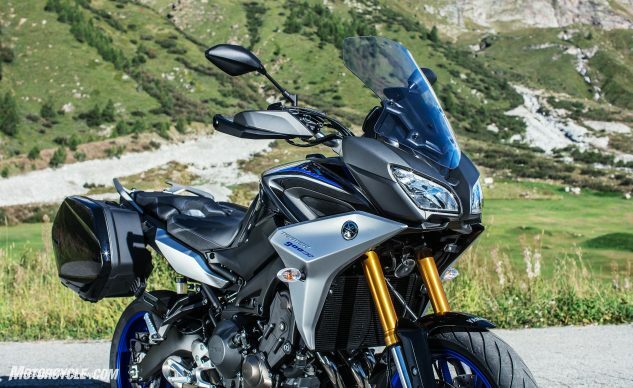 In the move to the 2019 model year, the Tracer 900 will gain a sibling, the Tracer 900 GT. Both will be available in the second half of 2018 as early release 2019 models. Prices have not been set. 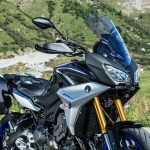 For 2019, Yamaha’s engineers looked to improve the Tracer’s weather protection and styling. 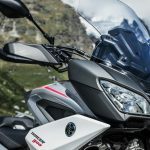 The one-handed manually adjustable windscreen has been enlarged for better protection of the rider’s upper body. The styling was refined by adding a new air intake to the front cowl and by refining the side panels and side wings. A new rear fender also makes the scene. Rider and passenger comfort are addressed by new seating accommodations . 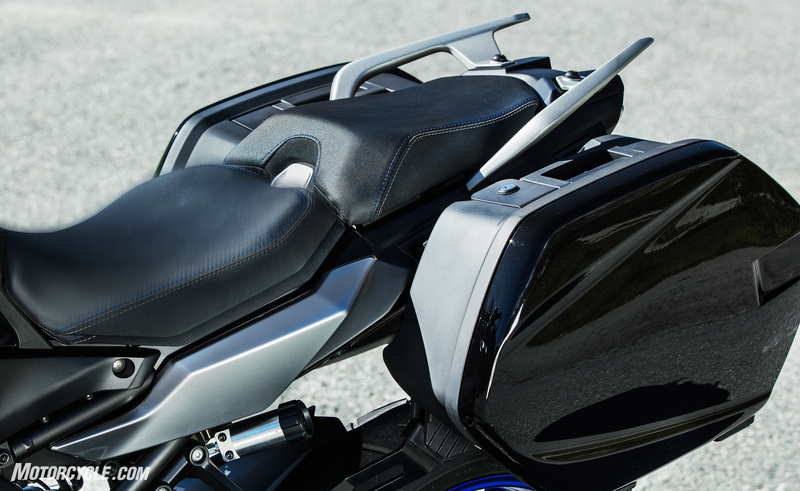 The rider’s seat is adjustable to two height positions for differing leg lengths. Additionally, a pad on the tank delivers added rider comfort on long rides. Passengers gain revised foot rests and new grab rails. 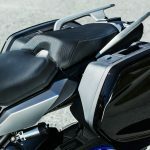 The rider’s hands were also get some new stuff in the form of a narrower handlebar with lighter, slimmer hand guards. The windshield was widened and the cowling gets an update in the transition to the Tracer name. 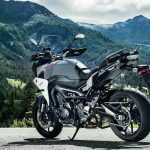 The sole performance-oriented change was the inclusion of a longer swingarm and revised shock settings designed to improve the bike’s touring performance. 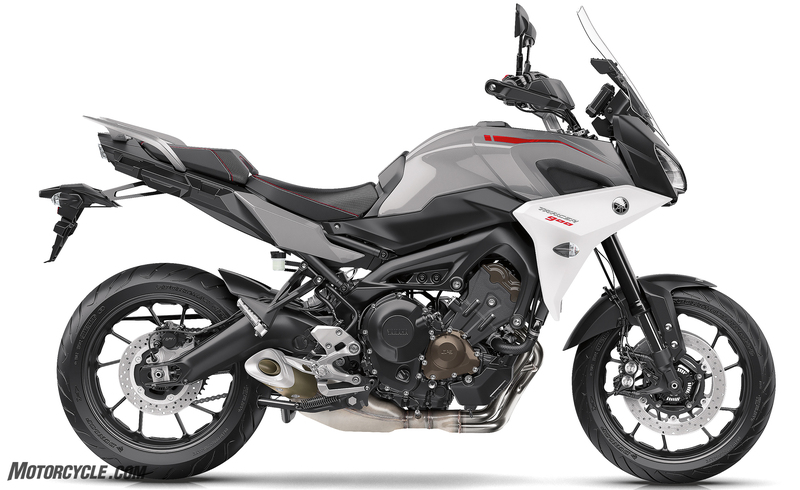 Otherwise, the Tracer utilizes the same 847cc, 3-cylinder, liquid-cooled, 4-valve engine with its Assist and Slipper clutch. The Ride-by-Wire throttle has D-MODE selectable ride modes along with a 3-mode TCS. 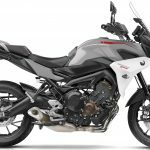 ABS remains standard equipment, and the 4.8 gallon tank is the same as 2017. The Tracer 900 will be available in Armor Gray. 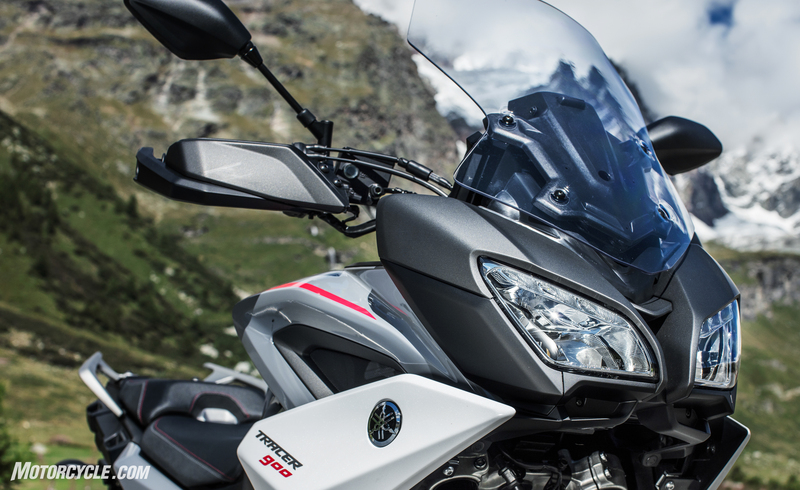 You shouldn’t be surprised to learn that the Tracer 900 GT features everything the Tracer 900 does – and more. First, to support those long rides, the GT receives color-matched, 22-liter hard bags. 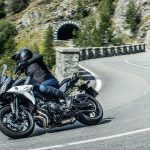 Additionally, a premium suspension will assist riders in soaking up those miles via a fully-adjustable fork and a shock with a remote preload adjuster. The Tracer 900 GT comes with color-matched hard bags. Tucked under the bodywork, the shock’s remote preload adjuster awaits your needs. A Yamaha accessory Quick Shift System is standard on the GT. Cruise control is also included on the GT. The system is active in 4th–6th gears at speeds above 31 mph. The left handlebar-mounted switch can adjust the set speed in 1.5 mph increments for fine tuning your speed to traffic conditions. Finally, heated grips will help keep your hands warm and extend the riding season. 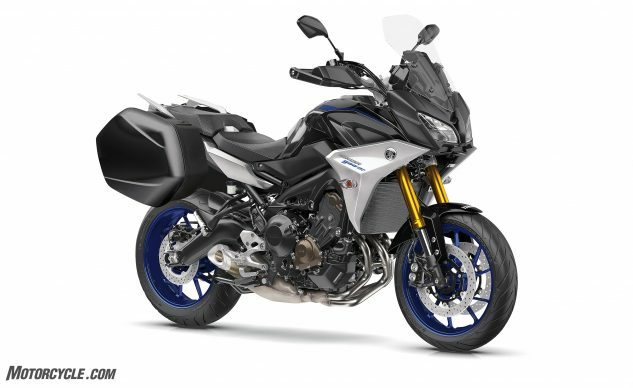 The Tracer 900 GT will feature the distinctive Raven color.